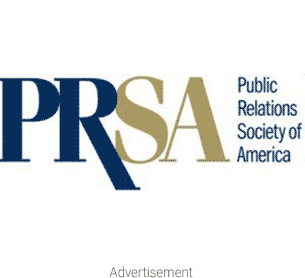 Who are the Top Atlantic City Public Relations Companies? There are many PR firms in New Jersey, but most of them are closer to New York than to Atlantic City. But if you are looking for a firm in Southern New Jersey, here are three in the general area of Atlantic City that offer full service PR and advertising work. Located in Somers Point approximately 22 miles from the boardwalk. They can help you with brand strategy, marketing, public relations, advertising campaigns, marketing and e-marketing, creative, and web design. They also offer professional consulting and training services. Suasion evolved from Smith O’Keefe & Associates and is a sister company working on PR for Atlantic City and tourism. They espouse three core values: to deliver stellar client service, exceed your expectations, and to create results that will wow you and your customers. They are a full-service PR and marketing agency, and along with their PR and marketing efforts, they include website design, crisis communications, brand development, database development, social media, and media training. They market themselves as being evolutionary. They are located in Egg Harbor Township, only 15 miles from Atlantic City. They represent international, national and local clients and do their best to create a friendly and creative experience for their clients. Lisa Johnson has worked as a broadcast journalist and Public Relations specialist for the past 20 years. Since 2006, the firm has represented Revel in Atlantic City and a host of other businesses and events there. Lisa also has several years working on the PR board for the Venetian in Las Vegas. She maintains extensive contacts with media on a local, regional, and national level to make sure your story gets told in all the right places. She also has the connections for special event planning, advertising, crisis management, and working to get your business presented in ways that reflect the best way you see yourself and give Lisa Johnson Communications a chance at your strategy. If you are looking for a PR firm in the Atlantic City and New Jersey area, these three firms are a great place to start. They offer the full spectrum of PR and advertising services. And they have expertise working with clients of all sizes and budgets. Did we miss anyone – contact us today!